The Circle Spur Bar & Junoon Grill provides a casual and lively atmosphere every day of the week. Junoon Grill serves lunch & dinner everyday of the week. Our hours of operation are Tuesday thru Sunday 11:30am-10:30 pm. 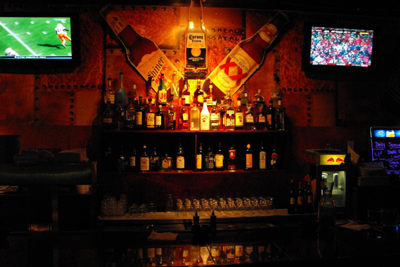 Circle Spur Bar is open Wednesday-Saturday 5pm-2am. Sunday-Tuesday until 5pm until 12 midnight. We have a variety of imported beers, fine wines and liquors. Our menu of appetizers is sure to satisfy your appetite. No need to scour the town for a steak house, here at the Circle Spur we have everything from Black Angus Tenderloin season and grilled to perfection to Slow Roasted Prime Rib that’s flavorful and delicious. For a bit of fun, drop into the Circle Spur Bar and play a game of billiards, or darts. We offer great “Happy hour” drink specials every night of the week. Don’t forget to join us for Karaoke every Thursdays at 9pm. Junoon Grill offers Fresh off the grill Chicken Tikka's, Fish fry, Prawns, Biryani, Buttery hot Nan's, and a variety of Pure Vegan curries.We ONLY use Zabiha Halal meat for our non-vegetarian dishes.